Crystal clear western skies let you see Colorado’s spectacular La Plata Mountains to the east. To the west the world famous history and scenery of Mesa Verde National Park! 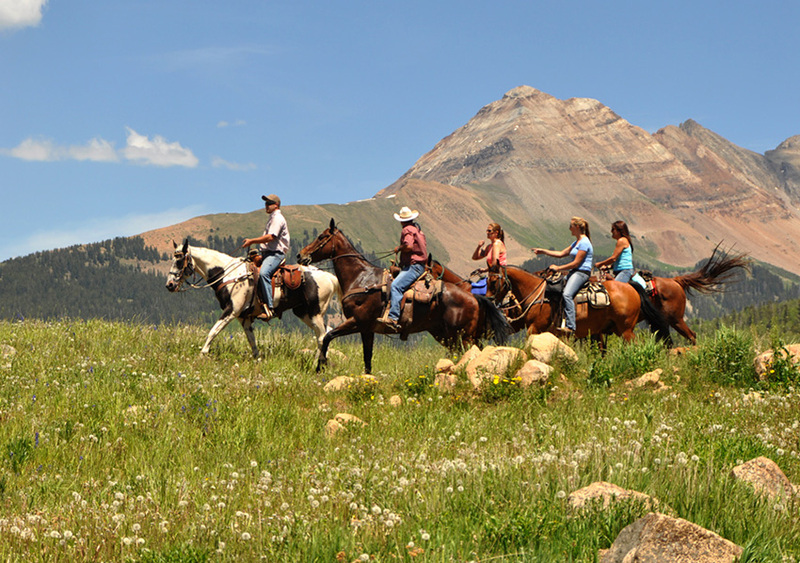 Experience guided horseback rides near Mancos, Colorado, between Durango and Mesa Verde National Park. High alpine wildflowers and wildlife abound! Rimrock Outfitters offers your family an authentic cowboy experience, the best vacation adventure in the country! Durango was founded by the Denver & Rio Grande Railway in 1879 and arrived in Durango on August 5, 1881. By July of 1882 (amazingly, only 9 months after construction began) the tracks to Silverton were completed, and the train began hauling both freight and passengers. The line was constructed to haul silver and gold ore from the San Juan Mountains, but passengers soon realized it was the view that was truly precious. This historic train has been in continuous operation for over 123 years, carrying passengers behind vintage steam locomotives and rolling stock indigenous to the line. 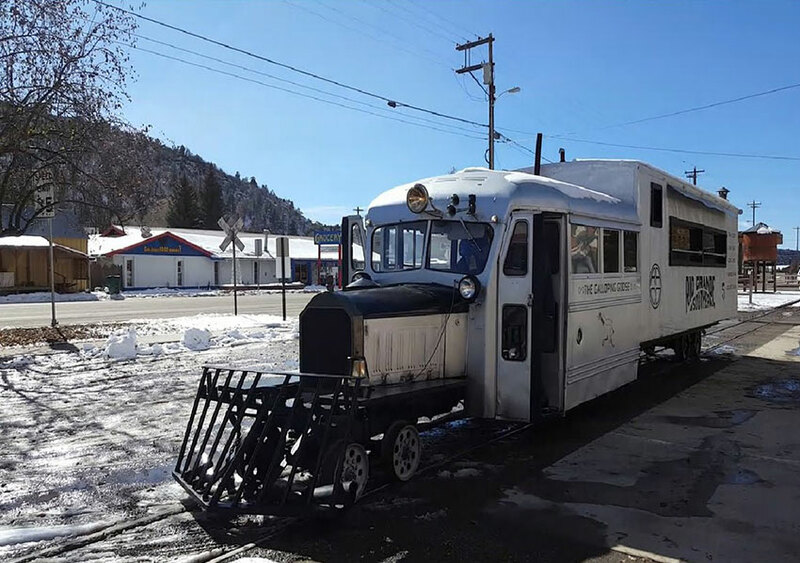 Railroad enthusiasts will enjoy a visit to the Galloping Goose railcar in nearby Dolores. This was the fifth of seven motorized steam railcars built by the Rio Grande Southern Railroad in the early 1930s to help stave off bankruptcy. There was not enough passenger or cargo traffic to justify running the trains at current levels, so a combination engine and carrying car was born using sedans from Buick, Pierce-Arrow. When the railroad lost its mail contracts in 1950, the Motors (as they were called then) were converted to passenger cars with seating and large windows and the name “Galloping Goose” was officially adopted.